This level of planning for a hike is impressive. 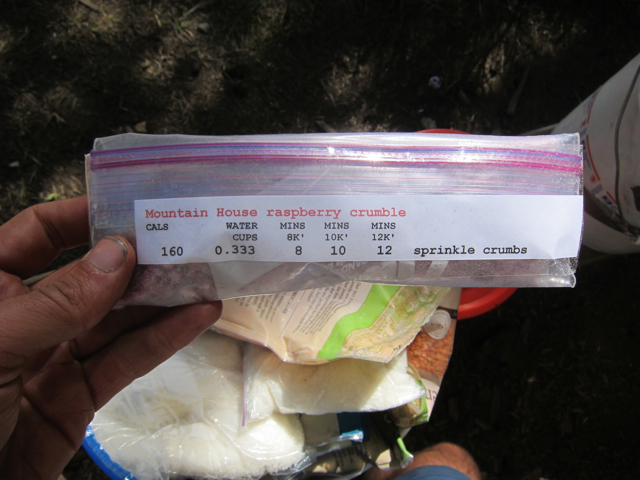 This was pulled out of a hiker box at Muir Trail Ranch. I didn’t eat it, but I did have the person’s repackaged Kung Pao Chicken. I think I boiled water and let it sit for a few minutes. 0.333 cups of water? ?